Peter has been practicing law for 18 years at large general practice and intellectual property firms in Chicago and San Diego. Martindale Hubble has given Peter a peer review rating of AV Preeminent 5.0 out of 5.0 (the highest rating possible) indicating that Peter’s peers rank him at the highest level of professional excellence in general ethical standards and legal ability. 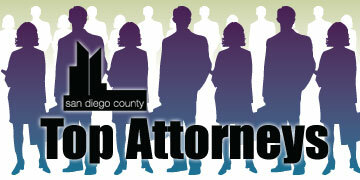 In 2009, The Daily Transcript selected him as a San Diego County Top Attorney. Peter’s practice encompasses all phases of international patent, trademark, and copyright litigation, prosecution, licensing and intellectual property counseling. He has experience with a variety of technologies, including wireless communications systems, ultra-fast laser applications, multilayer optical elements, digital/analog circuits, fuzzy logic controllers, broadband and embedded antennas, sensors and sensor networks, communications protocols, robot guidance systems, computer hardware/software, and the Internet. Peter takes steps to remain current in the field of intellectual property and technology law. He is a frequent lecturer on intellectual property law and an adjunct professor of various intellectual property and technology law courses at the University of San Diego Law School and Chicago Kent School of Law. He is also the author of the legal treatise “Intellectual Property Law in Cyberspace” (BNA Books (1999) and supplements (2000, 2002, 2003 – 2008) and is a contributing author of the legal treatise “Legal Issues in Electronic Commerce” (Captus Press, 2002 and 2005). Peter also has experience in law office management. He was the chair of the San Diego/Del Mar Intellectual Property Department and a member of the San Diego Office Operations Committee at Foley & Lardner LLP. 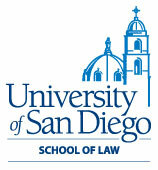 He was also the managing partner of the San Diego office at the intellectual property firm of Lyon & Lyon. Prior to his legal career, Peter worked as a design engineer and design team leader for Reuters, Inc., where he was responsible for the design and development of communications and information systems.